This work gives an account of all activities carried out to restore a faulty and abandoned deep freezer to normal functioning. This report therefore contains the different stages embarked in the execution of the project. These include the literature back ground, checking’s conducted, cleaning, repair operations and replacement of some pants. The project was subsequently assembly and tested and was found to perform satisfactory and was presented in the last chapter. Refrigeration is the process of removing heat from a space or region and maintaining this at low temperature. The practical application of this process is to produce and maintain a temperature below that of the ambient. For deep freezer, the temperature is reduces down to the freezing temperature of the refrigerated substance, thereby freezing the substance in the freezing component. In the refrigeration process, there is always a substance employed at the cooling agent, such cooling agent is known as the refrigerate and it circulates round the condensing and evaporating region thereby bringing about cooling. Since people specially those that run hotels finds it difficult to chill and freeze their drinks and keep their cooked foods other items in their normal state and the irregularities in this functioning of some existing deep freezers, we decided to embark on this work. And with the primary objective that the project will enhance our knowledge and will expose the group members on the practical application of their theoretical expositions. And will give us a wilder knowledge on how a deep freezer works the uses of it. This will also serve as a means of repairing and putting the damaged parts in proper shape and better condition for effective use in the homes and shapes and offices etc. However, this will benefit the domestic users in the sense that this will help them in chilling and preserving of their food and drinks. Hoteliers and restaurants also will find it useful in preserving their cooked food to the next day. 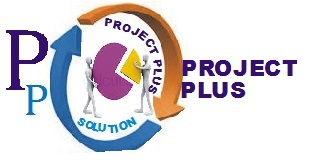 This project is limited to repair process or work.